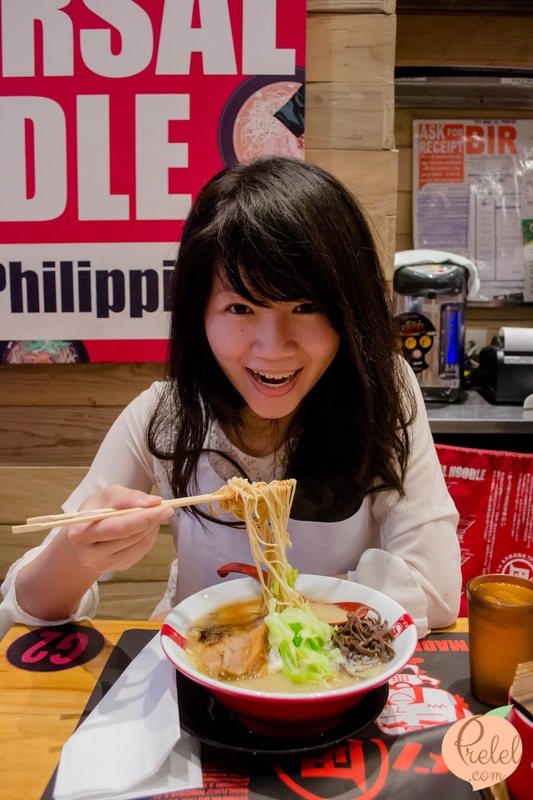 Ramen Nagi hails all the way from Japan and is known for its authentic ramen. 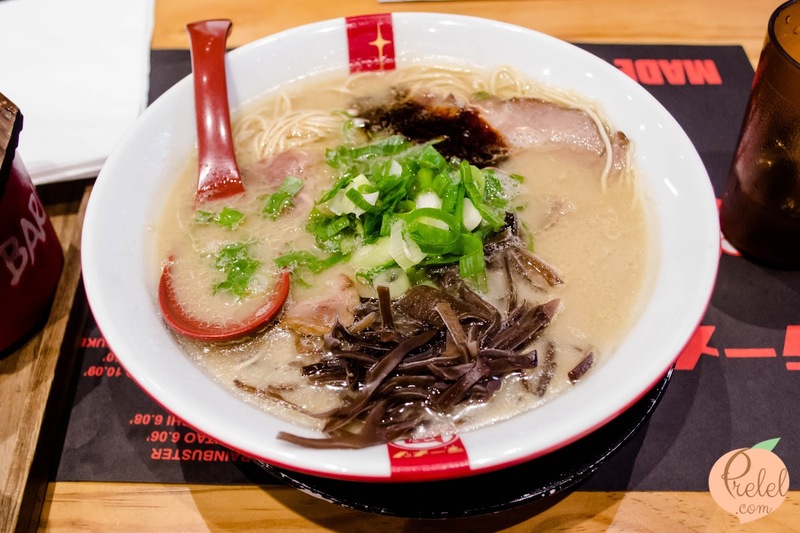 I was able to try Ramen Nagi with my family a couple of months ago. 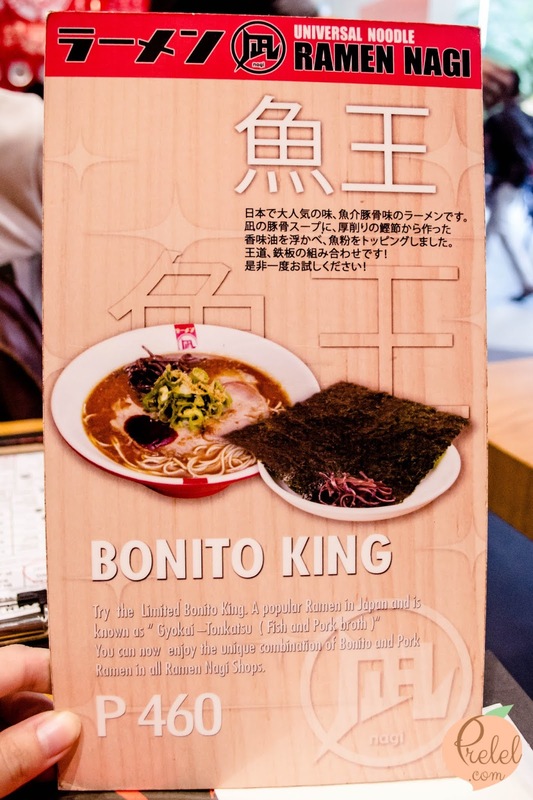 Original King (Butao) contains their “luscious signature tonkotsu pork-broth.” It is their “award-winning tonkotsu pork-broth prepared in the traditional method.” Their Butao ramen is “mouth wateringly rich, fresh, and aromatic; [it also features] special handcrafted noodles and classic Nagi pork chashu.”Their omotenashi sheet is their order sheet. Omotenashi is rooted in the trait of Japanesehospitality. I took a class called “Doing Business in Japan” at school for my minor degreeand I was able to learn all sorts of interesting tidbits related to Japanese culture. One of the few things I learned was that for Japanese companies, “the customer is god” or “okyakusama wa kamisama desu.” For them, the customers decide rather than the company pushing its decision or choices on the customer. 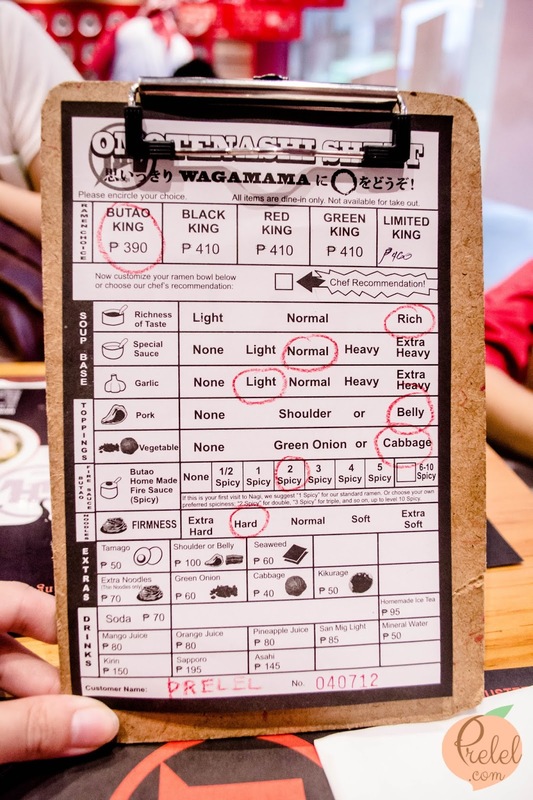 I was reminded of this lesson in class when I saw how you could customize your order on their order sheet. 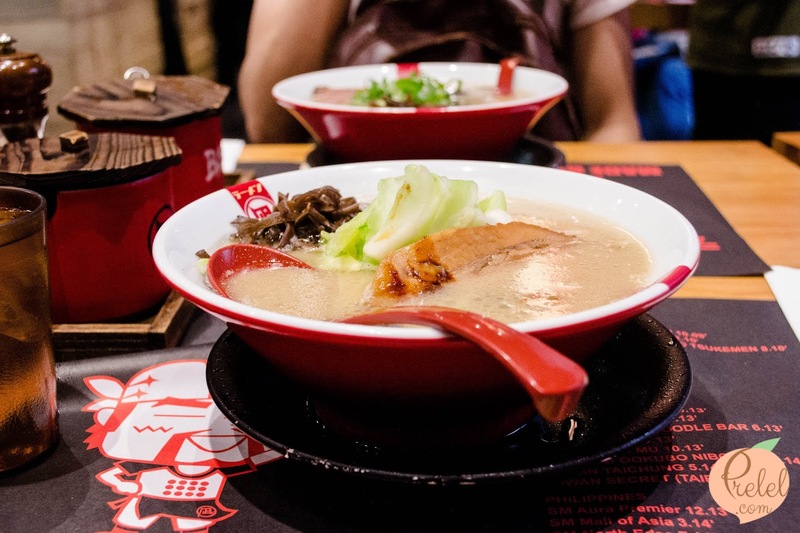 You can choose to customize your order based on the richness of taste, heaviness of the special sauce, level of spiciness, firmness of the noodles and more. However, if you cannot decide, you can opt to go along with the chef’s recommendation. Their omotenashi sheet is their order sheet. Omotenashi is rooted in the trait of Japanese hospitality. I took a class called “Doing Business in Japan” at school for my minor degree and I was able to learn all sorts of interesting tidbits related to Japanese culture. One of the few things I learned was that for Japanese companies, “the customer is god” or “okyakusama wa kamisama desu.” For them, the customers decide rather than the company pushing its decision or choices on the customer. I was reminded of this lesson in class when I saw how you could customize your order on their order sheet. 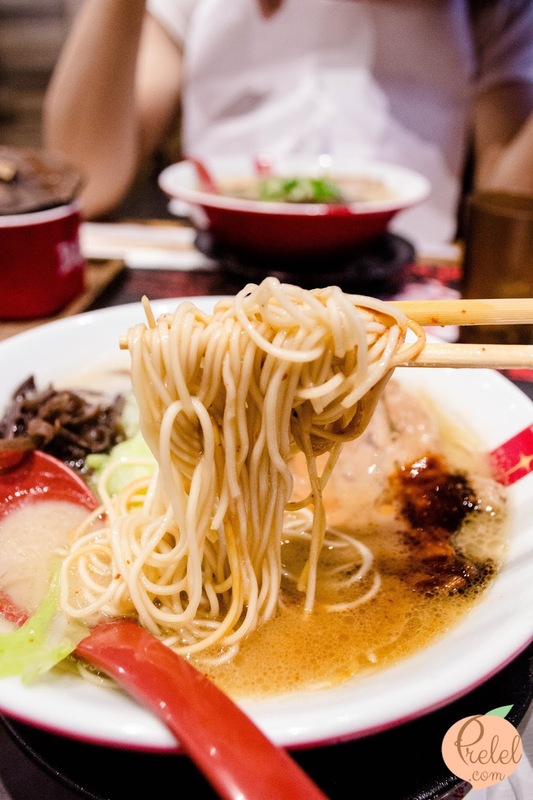 You can choose to customize your order based on the richness of taste, heaviness of the special sauce, level of spiciness, firmness of the noodles and more. 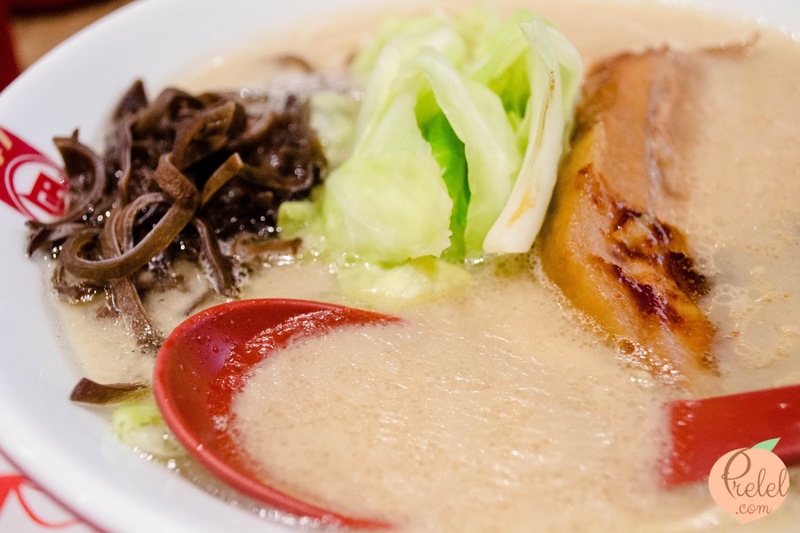 However, if you cannot decide, you can opt to go along with the chef’s recommendation. Isaac and I basically ordered the same thing except he had his with green onion and level 1 spicy while I had mine with cabbage and level 2 spicy. We both ordered the Butao (390 pesos). I preferred cabbage because I wanted a crisp texture while Isaac preferred green onions because according to him, green onions add more flavor to the soup. As for the spiciness, I enjoyed the level 2 spiciness while Isaac had a hard time with his level 1 spiciness, probably because he added so much spicy bean sprout! According to Isaac, their noodles were firm and had a springy feeling to the teeth. 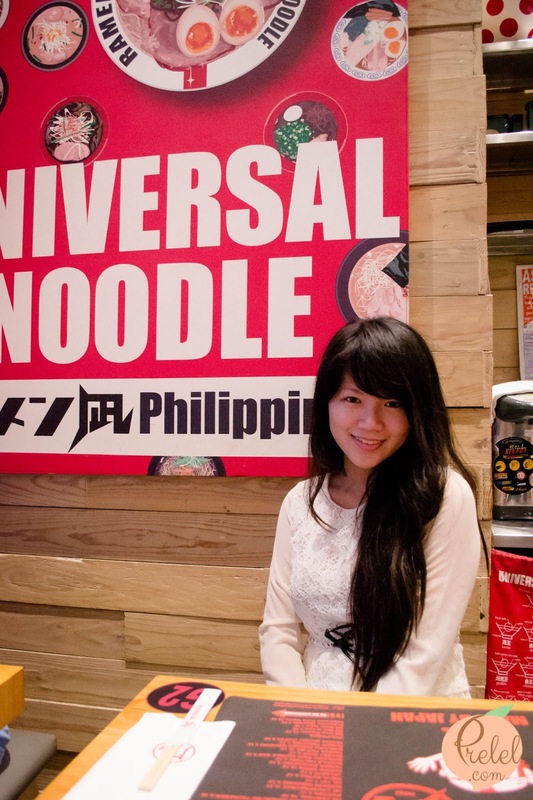 As for me, the noodles was one of the ingredients that really appealed to my taste. 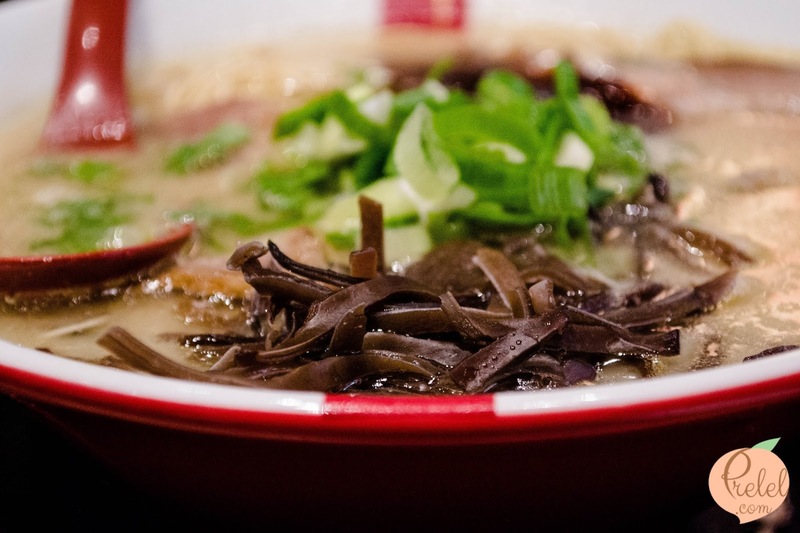 I like how springy and thin the noodles were. Also, it was my parents who suggested that we choose hard for our noodles. My parents told us that the hard was probably the best option and that it was not really that hard. Rather, it was nicely firm. 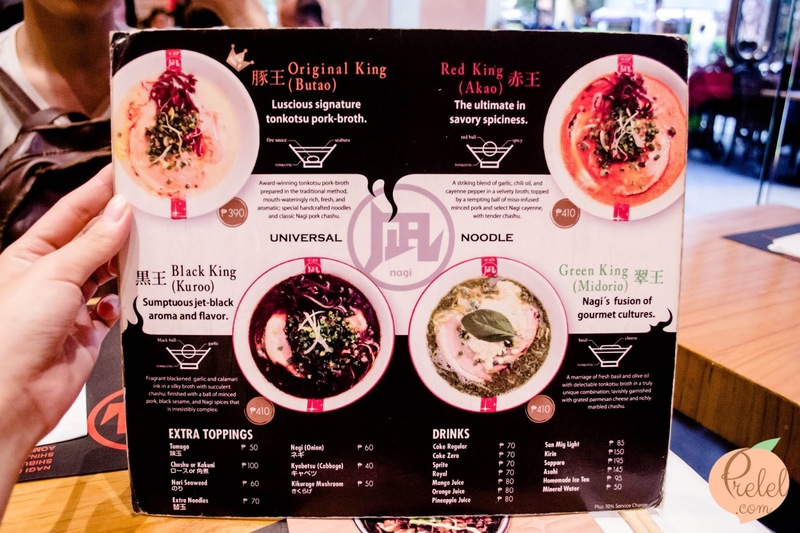 Each table usually has condiments of spicy bean sprouts, sesame seeds, garlic and more. By the way, they do not allow take outs. If you are a light eater, it might be better to eat with someone in order to not waste food, just in case you are unable to finish your food. 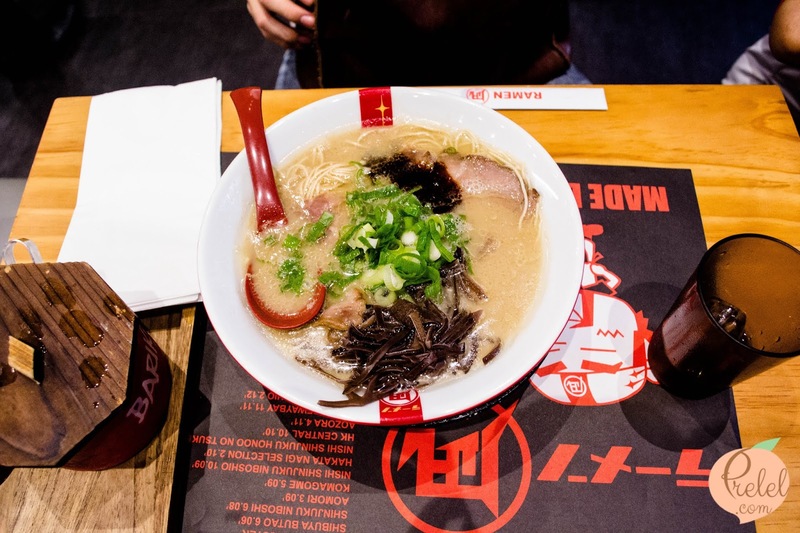 Isaac and I agreed that the broth was thick and flavorful. Isaac noted that their broth was unique compared to others. 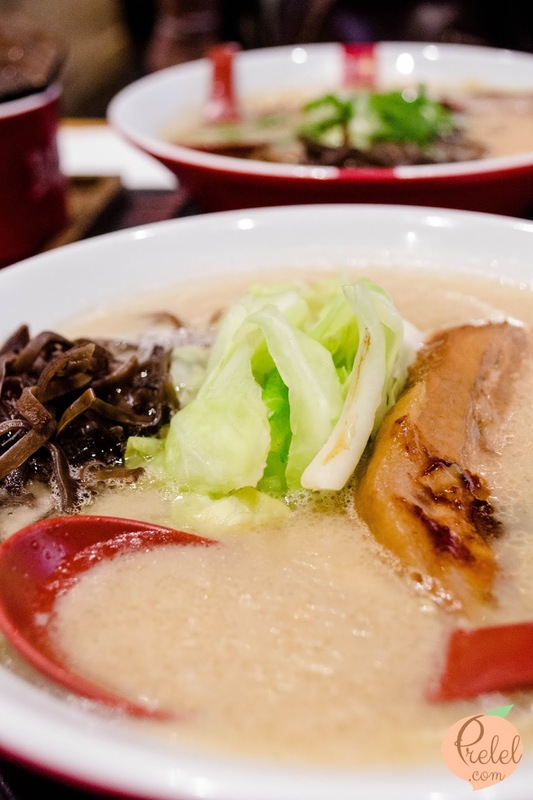 He speculated that the broth was probably made with dashi and a combination of pork and chicken stock as a base. Their pork belly was deliciously tender. 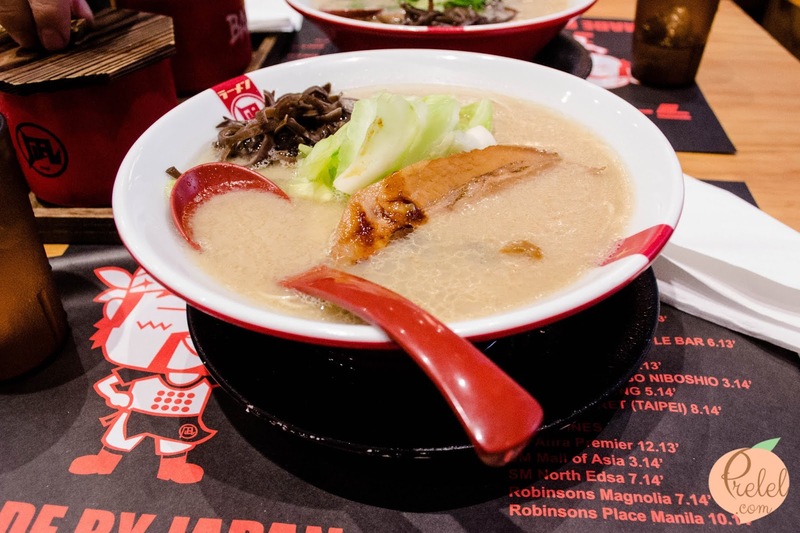 The kikurage mushroom (jelly ear or black fungus) had a chewy texture which made the ramen experience a more scrumptious one. 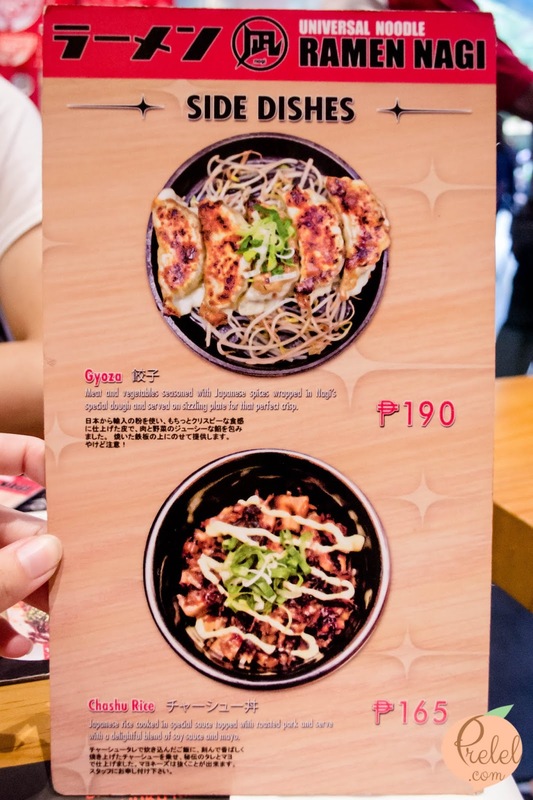 If I was given the chance to change my order and add extras back then, I would have probably added extra kikurage (50 pesos) because I liked it that much. I liked their rice tea the first time I tried it, I could clearly taste the rice flavor. However, the second time I tried their rice tea, the flavor seemed a bit too bland for me or maybe they chose to tone it down. If you prefer rice tea over water, you should request a pitcher from the servers. For both of my visits to Ramen Nagi, they served us a pitcher of water at first, we had to ask for rice tea. 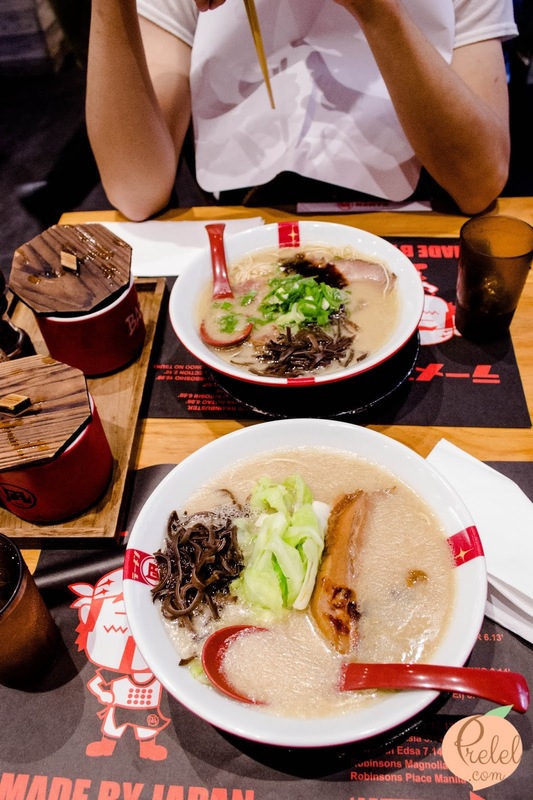 However, the first time my parents and brother dined at Ramen Nagi, which was also around the time that Ramen Nagi just opened their first branch here in the Philippines, they were immediately served with rice tea. 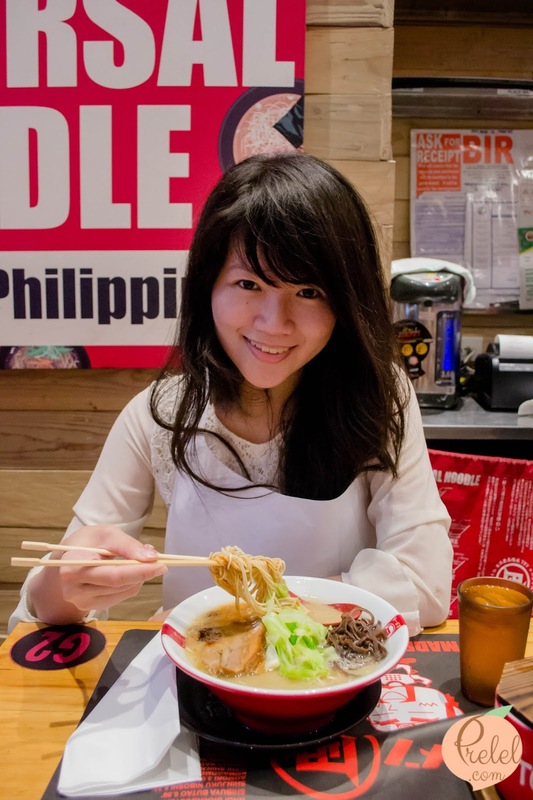 Their rice tea was one of the things that my mom raved about at Ramen Nagi. 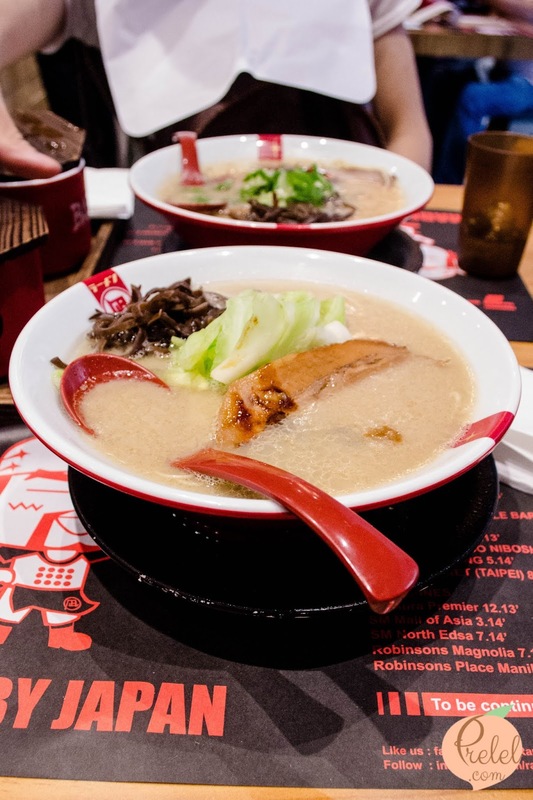 For my first time in Ramen Nagi, I remember that we had to ask around three times before they actually served us with rice tea. For a neater dining experience, you can ask the waiter for a paper bib like the one I am wearing in this picture. They will be the one to put it on you for you. 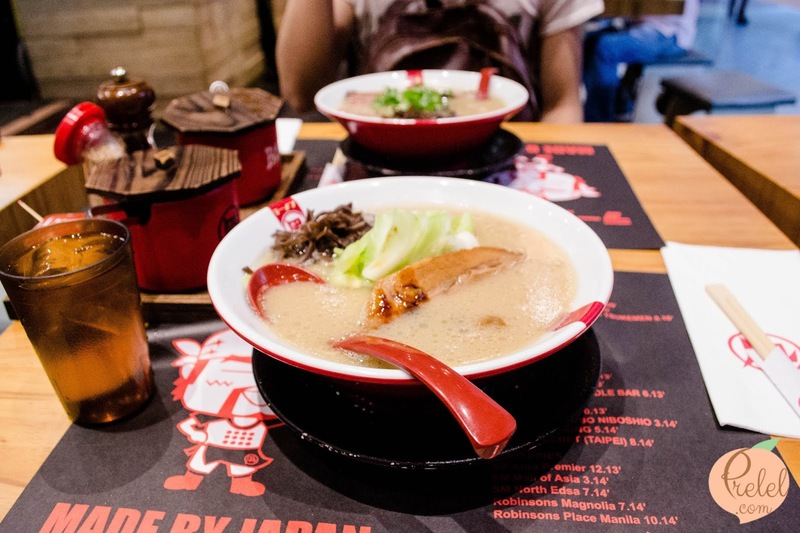 Ramen Nagi has branches at SM Mall of Asia, SM North Edsa, Robinsons Magnolia and more. They will also be opening a branch at UP Town Center.